The BMW X3 is in high demand right now, the Germans actually ramping up production for the SUV to make sure they can handle all the orders. 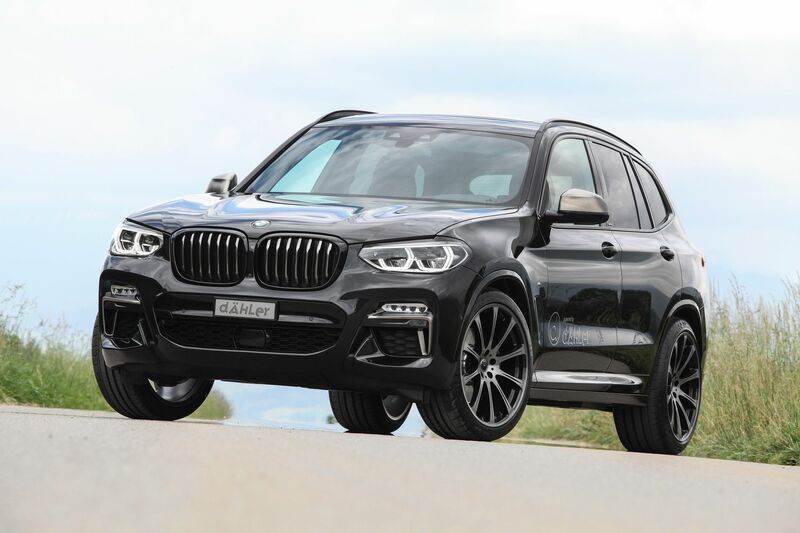 This is good news not only for BMW but also for tuners working in the field, as they can now launch a multitude of parts for the car, to cash in on its popularity. The guys from Dahler have just released a full package for the X3 and the one we’re looking at is the current top dog in the range, the M40i model. As you can see, the car was rather subtly modified, in typical Dahler fashion. You’ll notice the new Dahler wheels taking over but also the rather dark theme used on the car, meant to create an ominous feeling, I guess. The blacked out grilles up front as well as the gloss black trims on the windows all work together, leaving only the wheels, air intake trims and side mirror caps in grey to add a touch of color to the mix. Round the back you’ll also notice the quad tailpipes of the Dahler exhaust system and the Competition Line stickers all around, including in the cabin. Those new exhaust pipes are actually needed as the tuner decided to offer the X3 M40i a bit more power. Their version has a claimed 420 PS (414 HP) and 630 Nm (464 lb-ft) of torque under the hood, quite impressive numbers to be honest. They don’t mention a new 0-100 km/h (0-62 mph) sprint time but it should shave a couple tenths off the standard car’s claimed 4.9 seconds. 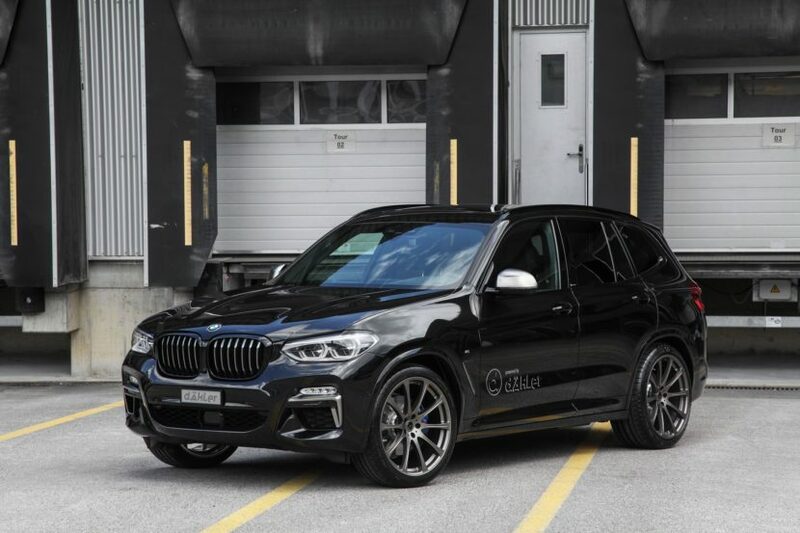 In case you want the Dahler approach to be applied to your car but don’t own the M40i model, the Swiss tuner also claims to have upgrades for the entire range at the moment and for all tastes. Unfortunately, there are no additional details available at the moment but there should be in a few days.